IMF Electronics Professional Monitor 3 ( PM3) Version 2 replacement capacitor set, Alcap 50V Low Loss or Alcap 100V capacitors toleranced to original 5% or close tolerance 2%, plus Polyester capacitors if required. Supplied as matched pair sets for 2 speakers. IMF Electronics Professional Monitor 3 ( PM3 ) Version 2 replacement capacitor set. These are replacement matched pair capacitor sets of toleranced Alcap 100V capacitors or 50V Low Loss type where specified, the best modern equivalent to the black Elcap capacitors originally used by IMF and most UK manufacturers. Sets can be ordered with capacitors toleranced to the original 5% or close tolerance 2%, and can include replacement Polyester capacitors if required. 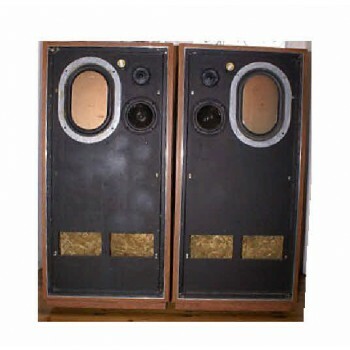 Please note that earlier models of this speaker ( Version 1) have a different crossover to the later type ( Version 2). If you are not sure which version you have, it is necessary to put the speaker on it's back and remove the bass unit carefully to locate the crossover and check before ordering. On the PCB, the earlier Version 1 type has a single usually red 6.8uF and 2 no.1uf polyester capacitors, the later Version 2 type a bank of 4 no. usually green 2.2uF Polyester capacitors, plus an additional green 2.2uF and 0.47uF capacitor. Care is needed when replacing crossover components on this model as the transmission lines are usually damped with rockwool/fibreglass wadding.